MSLGROUP | Jesteśmy MSLGROUP. Sprawiamy, że głos naszych klientów ma znaczenie. Today we live in a real-time marketplace of communities where individuals are happy to engage with other people, brands and organizations through connections, conversations and information sharing – but only if those entities offer substantial value and relevance in exchange for their time and attention. We are passionate about the science and art of listening to and engaging with people. With insight, with understanding and with a response that is helpful and valuable. We help our companies, brands and organisations move from campaigns to narrative, from intrusion to engagement and from consumers to communities. established in 2009, MSLGROUP has become a part of the world’s 3rd largest communications company – Publicis Groupe. Its Warsaw office joined in 2011.
over 100 offices located throughout 26 countries. more than 3 000 people; 100 consultants are in Poland. we are MSLGROUP’s hub for the CEE region. we were awarded the 2015 PR Grand Prix Cannes Lions 2015 for our #likeagirl campaign. The Holmes Report has named MSLGROUP’s Warsaw office as the Eastern European Consultancy of the Year 2015.
with competence in all areas of business suport. MSLGROUP’s Warsaw branch was built on the agency Ciszewski PR. Our history dates back to 1994, when sports journalist Jerzy Ciszewski established Poland’s first public relations agency. Ciszewski PR’s first large assignment consisted of providing comprehensive PR services for the Camel Trophy rally in Poland. 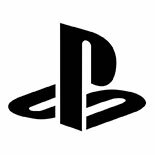 The years 2006-2010 mark a period of the company’s dynamic growth and specialization in consumer, corporate, financial, sports, pharmaceutical and digital communications. Our campaigns “24th of June – Poland’s Free Hug Day”, “Trust Tap Water”, “Hoop Caroling” and “Send your CV. Someone’s waiting” were awarded with the industry’s most prestigious prizes. In 2011, Ciszewski PR’s shares were purchased by MSLGROUP, an agency belonging to France’s Publicis Group. This resulted in gaining access to the world’s best know-how in the areas of brand and company communications as well as in community engagement. MSLGROUP was established in 2009 after Publicis Groupe announced that it would be bringing its PR and events agencies together to form a singular, global network. In the years to come, the network grew. Today, MSLGROUP accounts for over 100 agencies in 26 countries worldwide, forming the 5th largest PR agency in the world. 2015 Eastern European Consultancy of the Year is awarded within the prestigious Holmes Report and is considered by many to be the most important PR title in Europe. We have been appreciated for our fast development in Poland and our expansion in the region. Polish MSLGROUP office is the hub for CEE and opened offices in Romania, Bulgaria and Slovenia last year. 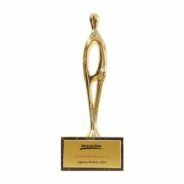 GOLDEN WORLD AWARDS 2014 in the ‘Social Media for PR’ category awarded by International PR Association (IPRA) for MSLGROUP Poland. 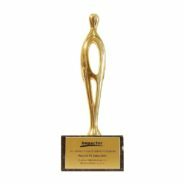 The award for the “Hugging Matters” (Przytulanie ma znaczenie) campaign organised in cooperation with the UNLIMITED agency for GlaxoSmithKline. 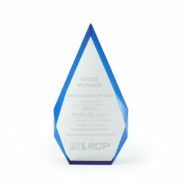 IPRA Golden World Awards is an international PR contest organised since 1990 by the International PR Association (IPRA). 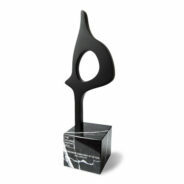 European Excellence Awards is one of the biggest contests in European PR industry. European Excellence Award 2013 in the health category went to “Men’s Grippe” (Męska grypa) project realised by MSLGROUP for Gripex brand from USP Zdrowie portfolio. Impactor in the 2013 SOCIAL CAMPAIGN category for “Hugging Matters” for MSLGROUP and Unlimited. The aim of the project realised for GlaxoSmithKline Oilatum Baby was to show the importance of closeness and tender touch ifr a baby and on every stage of the baby’s growth. Impactor is the oldest Polish marketing contest organised since 1999. Proton 2013 in the “Person/Team in a PR company” for Sebastian Hejnowski, Managing Director Ciszewski MSL and COO MSLGROUP Poland. Protons have been awarded since 2007 in the contest organised by Proto.pl portal for communication professionals who are characterised by uncommon way of thinking, innovativeness and talent. The jury awards experts setting standards in PR industry and contributing to the success of their companies. Proton 2012 in the “Person/Team in a PR company” for Jerzy Ciszewski CEO MSLGROUP POLAND. Protons have been awarded since 2007 in the contest organised by Proto.pl portal for communication professionals who are characterised by uncommon way of thinking, innovativeness and talent. The jury awards experts setting standards in PR industry and contributing to the success of their companies. 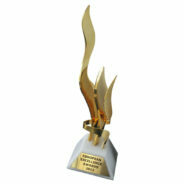 Ribbon Award is an annual contest awarding best projects in all MSLGROUP’s offices around the world. Silver Ribbon Award 2013 went to “Let’s Play Football” (Grajmy w piłkę) project realised by Ciszewski MSL Marketing Sportowy for Cisowianka. European Excellence Awards is one of the biggest contests in European PR industry. 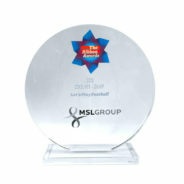 The 2012 award for the Best Campaign in the “National and Regional Campaigns: Poland, Russia, Ukraine” category went to “Let’s Play Football” (Grajmy w piłkę) project realised by Ciszewski MSL Marketing Sportowy for Cisowianka. 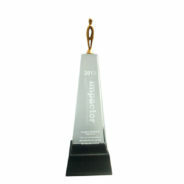 Impactor 2009 in the category “PR Agency of the Year”. Impactor is the oldest Polish marketing contest. 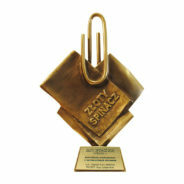 Golden Clip 2010 in the crisis communication category. 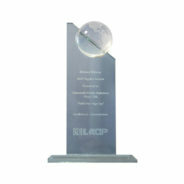 Award for the “Hoop Caroling” (Hoop Colędawanie) campaign carried out in 2009 for HOOP Polska. 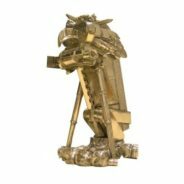 Golden Clips is a prestigious contest for best PR projects organised by the Polish Public Relations Consultancies Association. TOP 50 Communications Campaigns of 2010 – 16th place worldwide for the PR campaign “Trust Tap Water” (Zaufaj wodzie z kranu) carried out in 2010 for BRITA. Magellan Awards is an international contest organised by LACP (League of American Communications Professional) to award communication campaigns that stand out in the international forum and influence the shape of new communication trends. 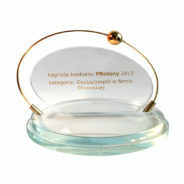 Gold Winner in the “Product Communications” category for the PR campaign “Trust Tap Water” (Zaufaj wodzie z kranu) carried out in 2010 for BRITA. Magellan Awards is an international contest organised by LACP (League of American Communications Professional) to award communication campaigns that stand out in the international forum and influence the shape of new communication trends. 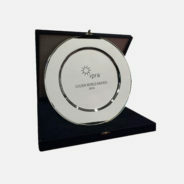 Golden Drum 2010: Silver Drum Award in the “Marketing PR for products” category for the PR campaign “Trust Tap Water” (Zaufaj wodzie z kranu) carried out in 2010 for BRITA. Golden Drum is one of the most important international contests in the advertisement industry and related sectors. Kreatura 2010 in the “Campaign” category for the PR campaign “24th of June – Polish Hug Day” (24 czerwca polskim dniem przytulania) carried out in 2009 for HOOP Polska. Kreatura is a Polish nationwide contest of creation in advertisement organised by Media & Marketing Polska. Top 50 Magellan Awards Communications Campaign for the PR campaign “24th of June – Polish Hug Day” (24 czerwca polskim dniem przytulania) carried out in 2009 for HOOP Polska. Magellan Awards is an international contest organised by LACP (League of American Communications Professional) to award communication campaigns that stand out in the international forum and influence the shape of new communication trends. Bronze Winner in the “Product Communications” category for the PR campaign “24th of June – Polish Hug Day” (24 czerwca polskim dniem przytulania) carried out in 2009 for HOOP Polska. Magellan Awards is an international contest organised by LACP (League of American Communications Professional) to award communication campaigns that stand out in the international forum and influence the shape of new communication trends. 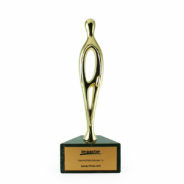 Golden Drum 2009: Silver Drum Award in the “Marketing PR – Consumer Goods” category for the PR campaign “24th of June – Polish Hug Day” (24 czerwca polskim dniem przytulania) carried out in 2009 for HOOP Polska. Golden Drum is one of the most important international contests in the advertisement industry and related sectors. Impactor 2009 in the “PR Project of the Year” for the PR campaign “24th of June – Polish Hug Day” (24 czerwca polskim dniem przytulania) carried out in 2009 for HOOP Polska. Impactor is the oldest Polish marketing contest. Golden Clip 2009 in the “Product PR” category for the PR campaign “24th of June – Polish Hug Day” (24 czerwca polskim dniem przytulania) carried out in 2009 for HOOP Polska. Golden Clips is a prestigious contest for best PR projects organised by the Polish Public Relations Consultancies Association. Consumers are changing their approach towards brands. Brands are chosen through a process similar to that of choosing one’s friends – both sides must match. Consumers expect companies to have modern values; values which do not lie in the regions of basic business practices. Accordingly, brands have become increasingly eager to engage in topics which truly change and improve the everyday life of their consumers. We’ve come to learn that in such times, campaign ideas should stem from a deep knowledge of a customers needs and preferences, and not from generalized market research. Since there is no singular way of creating a brand’s story, we put various methods, tools and communications channels to use to give each story its own unique character. Employee engagement is a major pillar in a company’s business activities. It’s an employees hard work and dedication that allows a company to reach its goals. Stories focused around a certain company’s employees have become a source for corporate conversations, often used to build up an employer’s image. We help our clients achieve their business strategies by increasing employee engagement in the life of the company itself. We provide necessary support in the process of building and managing a company’s business image as an employer, allowing a company to keep its most valuable employees and attract the best talent available. In an era of social media and emerging communities, even the smallest of issues can rapidly evolve into a crisis situation, which may in turn have a negative impact on a company’s most valuable asset – its reputation. For this reason, we specialize in preparing a comprehensive analysis of a company’s different areas of operations. These are used as a basis for creating elaborate detailed scenarios of a company’s potential threats. As an end result, we’ll obtain extensive procedures – standards of conduct and communication – which will allow a company to minimize the possible negative outcomes and effects of a crisis situation. The trick is winning over the Internet. But how do you get noticed amongst the thousands of pieces of information, films and pictures published online each and every day? The solution lies in providing engaging content which precisely reaches a company’s target group. We create personalized strategies for a company’s presence on the Internet. We design and create websites for companies, campaigns, social services, auction systems, online stores, even mobile applications, in addition to providing the necessary tools used to analyze data and manage client databases online. We help companies, brands and organizations make their presence known on the Internet. They gain new fans, build relations with them and even create communities with their most devoted ambassadors. 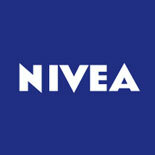 A company’s reputation and image are amongst its most valuable corporate assets. They can often determine of a company’s success. We help organizations create their own unique market image, managing it effectively so that it may provide the company with a competitive edge on today’s dynamically changing market. Reputation management is a long-term process which contributes to strengthening a company’s market position. Well aware of this fact, we carry out audits, prepare complex communications strategies, and help build and maintain good relations with a company’s surrounding communities. We use our knowledge and considerable experience to manage and tend to the reputation of Polish and international companies in varying industries: ranging from FMCG through aviation, the financial market and public sectors. 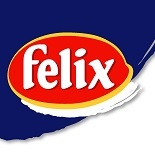 Each company has its own individual history, different business operations and a different target group which requires its own, unique storytelling. In the present day, many decisions are made outside the quiet offices of ministers and governmental employees. Decisions are shaped, to a great extent, by – for example – grassroots initiatives and social media. Each of our clients receives a comprehensive, tailor-made strategy created to precisely match their needs, expectations and business possibilities. Our scope of operations includes, amongst others, lobbying, media relations and activities in electronic media. Their aim is to shape public opinion, attract attention to given problems, promote certain legal regulations ,as well as to build a company’s reputation and solve crisis situations. High ethical standards form the basis for all of our activities. MSLGROUP has been entered into the register of company’s carrying out professional lobbying activities for Poland’s Ministry of the Interior and Administration. We strictly follow the Code of Conduct set by Poland’s Public Relations Consultancies Association. We offer a comprehensive range of services in the field of investor relations for companies which operate on capital markets, or plan activities related to having a presence on capital markets, aimed at the following selected target groups: fund managers, financial analysts, shareholders and financial media. Our offer includes the implementation of complex activity strategies for pre-IPO, IPO and post-IPO’s. We plan marketing activities to accompany debuts, suggest activities connected to building relations between firms, organizations and the stock exchange and trade media. We help our clients establish and maintain relations with investors. We merge the business world together with public opinion in order to create a brand image that is expected by and attractive to consumers. An in-depth knowledge of current trends, the real-time mapping of emerging communities and a thorough understanding of today’s dynamic communications allow us to reach a clients particular target groups with a desired message. This leads to the creation of a long-term connection with consumers based on mutual understanding and trust. 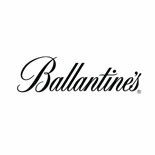 With our help, a brand can become an inseparable element of its consumers’ world – a way through which consumers express themselves. Two very important factors for a pharmaceutical company are ethical business conduct and the quality of its offered product. In this particular industry, a company’s reputation is strongly linked with the firm’s activities. We assist our clients with effectively managing their business image and help them build strong relations with consumers, communities and other parties focused around them. We help facilitate consumer access to healthcare, we work to increase a brand’s expert value and engage professionals to speak about given products. We fully support our clients and help them reach their targets. We act as translators and mediators in the communication between the world of finance and today’s media and consumers. We specialize in consultancies regarding the management of external and internal communications, crisis management in the financial sector and systematic activities devoted to building a company’s presence in the media and on the Internet. Our team has a vast experience in working with financial institutions. We perfectly understand the business activities of the enterprises for whose communication we are responsible for, and we possess the necessary skills to create stories and narratives in such a way, as to make them intelligible for all target groups. Nearly 100 consultants devote their time to listen to communities and engage themselves in creating captivating corporate and brand stories. Our team understands a clients’ needs and is more than capable of transforming them into concrete activities. More than half of our employees have over a decade’s worth of experience, and our team’s average professional experience amounts to 7 years, including experience earned on the client’s side of the market. This results in a perfect understanding of the industries we advise in and allows us to create more than adequate communications strategies. Zosia has more than 15 years of communications experience under her belt. She has been working for MSLGROUP since 2010, implementing dozens of campaigns for the world’s biggest brands during her time with the agency. Zosia’s projects have received numerous nominations and awards in both Poland and Europe, such as the SABRE, IPRA, Golden Drum, European Excellence Award, Złote Spinacze, Impactory and Creative for Good by the World Economic Forum. She works in MSLGROUP’s European structures, where she is responsible for business development in CEE. She takes a keen interest in retro-chic fashion and loves collecting hats – she has over 20 of them. Sebastian has more then 15 years of experience in communications. He started working for MSLGROUP in 2004 and has walked the company’s entire career path. Today, Sebastian heads four regional offices in the CEE region. Under his guidance, MSLGROUP’s Poland branch was named ‘Eastern European Consultancy of the Year 2015 ’. 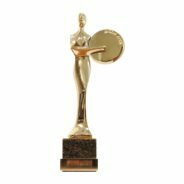 This prize is awarded by the Holmes Report and is considered to be the most important award in the PR industry in Europe. Sebastian is involved in current trade, social and political affairs. 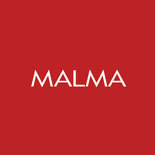 He served as a judge in Europe’s biggest trade contests, such as the Golden Drum, Cristal Festival and Złote Spinacze. Sebastian’s other interests include travelling. So far, he has visited over 90 countries around the globe. Łukasz has more than 10 years of experience in corporate PR, Public Affairs, issue management and crisis communication, obtained in both agency and public sector. Previously serving as a senior consultant in international advisory companies, former spokesperson for the Warsaw City Council, Łukasz started working at MSLGROUP in 2014. He has extensive experience in working with clients from energy, defense and tech industries, and serves as an advisor for multinationals and local businesses. Łukasz’s team creates communications strategies, builds relations with opinion leaders and manages the reputation of companies. He is passionate about hard bop, loves sartorial fashion and Brooks Brothers shirts. Sebastian has more than 15 years of experience in communications. Ever present in the agency, he managed Publicis Consultants in 2013 and returned to MSLGROUP in 2015 to assume the position of Managing Director and Head of Consumer Practice. Sebastian has one of the most interesting approaches towards PR in Poland’s entire industry. He has a vast knowledge on how communications activities are reflected in business results. Sebastian has also been a judge at the industry’s biggest contests – Cannes Lions, SABRE, Young Creatives. Privately, he is a passionate Saab enthusiast, often renovating them himself. Renata has almost 20 years of experience in the field of communications. Prior to starting her work for MSLGROUP in 2010, she worked for LOT Polish Airlines. She was also involved in realizing projects for Star Alliance – the world’s largest global airline alliance. One of her greatest accomplishments was introducing Emirates Airlines to Poland – the most spectacular launch of the brand in the field of corporate communications in 2013. Renata is an expert in the field of corporate and crisis communications, as well as media relations in the transport, aviation and tourism sectors. She is also successfully developing MSLGROUP’s healthcare practice. Her favorite holiday destination is India, a country she has visited nearly 40 times. Halina has 15 years of professional experience in finance, audit, accountancy and management. She is part of MSL since 2013. Since joining, she has been responsible for the comprehensive management of the company’s finances. Her previous professional experience includes inter alia, Ernst & Young. Privately, she is passionate about the golden era of Polish Himalayan mountaineering. In her free time, she leaves Warsaw for long walks with her family and dog.